The SWEET black underarmor fitted long-sleeve we received with our running goodie bag. Running with Philip for the first five 1/2 miles, commenting on how rough the roads were and how much we liked our spiffy new athletic sunglasses we’d purchased at the health expo the evening before. OOOOH SOMEBODY’S HANDING OUT GUMMIE BEARS! I LOVE YOU I LOVE YOU I LOVE YOU! I hope Philip is o.k. After that I waited with Rob until the clock reached 6:15. Leigh had come through the finish but Philip had not. We waited and waited and waited and FINALLY saw him walking past a Dunkin’ Donuts tent with a cotton swab taped around his elbow. Uh-oh. He had become dehydrated at mile 18 and was sitting in an ambulance getting liters of fluids pumped into him until we found him. So. I am now a marathoner with a very cool new running shirt and a medal with a crab on it. Awesome. Subscribe to comments with RSS	or TrackBack to 'I’m a Marathoner!!'. “I want to cry…” I was the same way. “I am never doing a marathon again…” Ditto. Crossing the finish line is the best feeling. It’s that great combo of relief and accomplishment and it feels amazing doesn’t it? Now…was the training worth it? Heyyyyy, whadayamean “never doing another marathon again” ? Actually I don’t blame you, LOL… I got both soaked n frozen at Denver yesterday. The literally blue fingers made me wonder if I was totally crazy, but this morning I’m already planning the next one in AZ. Well, you finished a marathon… something that apparently less than 1 percent of the population has ever done. Good for you. Wonderful! It’s such a great accomplishment to finish a marathon. I so enjoyed reading your comments about the last 6 miles. I was a finisher in Baltimore on the same day–toward the end of the race I was behind a woman with a shirt which said, “What was I thinking? ?” No doubt we all have asked ourselves that question! So…will you do another one? I ran the half and I thought that was bad enough. I can’t imagine running the full. Good job there, hot stuff. Outstanding! Please tell us when your next marathon is. 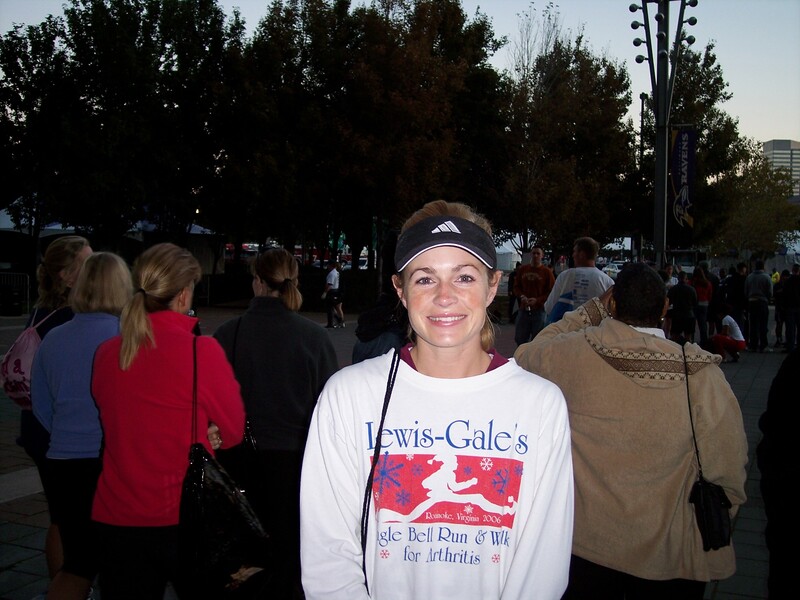 I’m a coach with Team in Training and will start training a team of fundraising participants for the 2008 Baltimore Marathon later this month. I was looking for information and pictures from the Baltimore Marathon last week to share with the team when I came across your site. I realize this is an old post, but I still wanted to say congrats on completing a marathon. It feels great, doesn’t it?